What are the origins of Grassroots Leadership and how did you become involved with this wonderful organization? Grassroots Leadership was founded 36 years ago by civil rights organizer Si Kahn in Charlotte, North Carolina. For much of the organization’s history, we have helped multi-racial progressive organizations in the South build power for social change. Our work over the last 15 years has been focused on the devastating impact of mass incarceration and deportation on communities of color and the role that the for-profit prison industry plays in these policies. 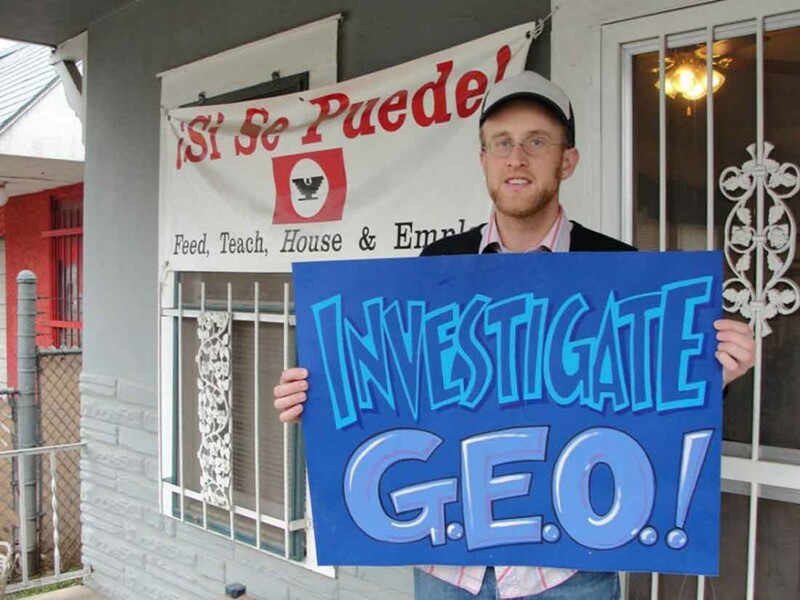 I got involved in Grassroots Leadership in the early 2000s while a student at the the University of Texas working on a prison divestment campaign that successfully forced Sodexho Marriott, a campus caterer and then the largest investor in Corrections Corporation of American to dump its prison stocks. I started working with the organization as a student organizer in 2003 and have been involved ever since. As mentioned on your blog, More than 400 women and children were recently released from a Texas detention center due to the center’s violation of Texas law. Please describe what violations were occurring and are still occurring within Texas detention centers and how these centers can better improve their conditions for families. Texas has a long and troubled history with detaining migrant families. From 2006-2009, families were detained at the T. Don Hutto detention center in Taylor, Texas. After a three year campaign by Grassroots Leadership and our allies, ICE stopped detaining families at Hutto and mostly ended the practice. Still, Hutto remained and remains open to detain asylum-seeking families from around the world. In 2014, ICE opened two massive family detention camps in Dilley and in Karnes City, Texas. But it wasn’t until last year that the Texas Department of Family and Protective Services started the process to give these facilities childcare licenses, as a result of federal litigation under the Flores settlement which governs the detention of kids. We sued the state and won a major victory last month which deemed invalid the regulation that allowed the licensing of these detention centers. You have said that we need to move in a direction that strengthens public institutions instead of outsourcing prisons to for-profit corporations, what are some realistic steps we can take towards this goal in the next 5-10 years? How has the advocacy led by Grassroots Leadership already made a positive impact over the last few years? I think that our work and that of our allies has contributed to many positive changes for social justice. Just this past year, our work has helped contribute to Austin becoming the first Fair Chance Hiring city in the South, to Travis County being poised to end immigration detainers in the Travis County Jail, and to the announcement by the Department of Justice that it would phase out private prisons in the next 5 years. Do you feel as though the main stream media has been influential (or not influential enough) in regards to bringing attention to this issue of inhumane detention centers? I think that this issue is more in the news than it has been in the 15 years that I’ve been working on it. That said, there still should be more coverage of detention and incarceration as prisons tend to be places where sunlight does not shine. To that end, we have a visitation program to Hutto that matches community volunteers with women detained at Hutto to help break the isolation of detention, monitor human rights violations, and build advocates for detention reform. 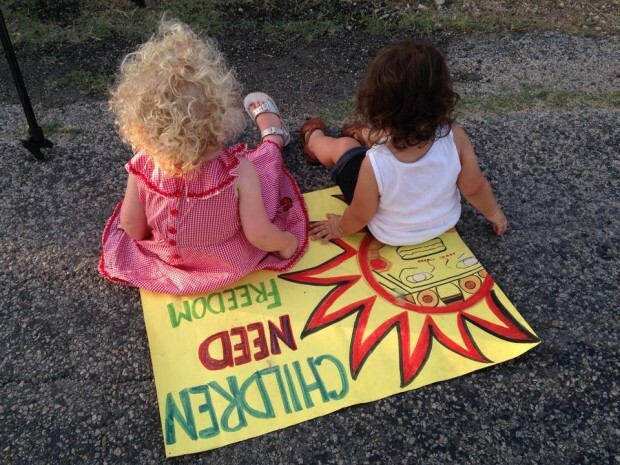 What can the Austin community do to make a difference regarding the detention crisis? A lot! Folks can visit people in detention through the Hutto Visitation Program. Austinites can contact their city council people and County Commissioners to let them know that they want Austin to be a Sanctuary City. They can also pressure the the state legislature to not enact punitive anti-immigrant measures. 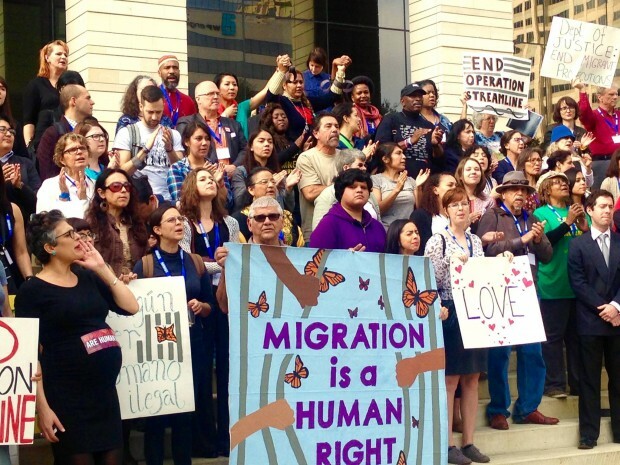 Finally, there is a growing Sanctuary Network of congregations and other institutions that have come together to stand up against detention and deportation. Describe the importance or perhaps significance of Grassroots Leadership’s long standing relationship with Casa Marianella and how it has evolved. We have long worked with Casa Marianella. I think that Casa’s work is the model for what communities should provide in terms of housing, resources, and hospitality to arriving immigrants and refugees. Casa’s vision stands in stark contrast to the for-profit detention centers that profit from the misery of migrants trapped in an unjust system. We need far fewer detention centers and far more Casa Marianellas, as far as I’m concerned. I recently started volunteering there at Casa, I noticed that one of your ESL instructors left. I have considered doing that. Need help? Thank you for all you do to support Casa! Please send an email to esl@casamarianella.org to enquire about open teaching positions. Thanks and have a great day!